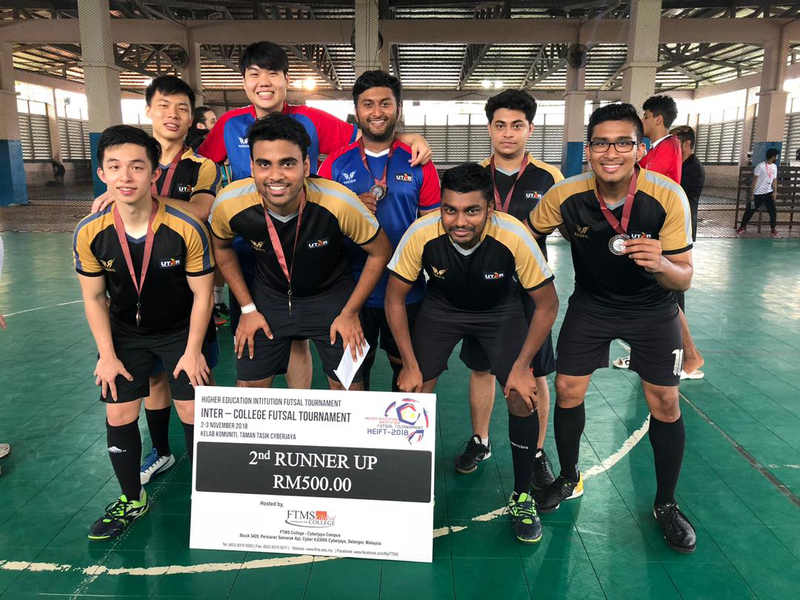 A team consisting of eight male players from UTAR namely, Jason Lem Jie Sheng, Henry Dass, Lei Pee Han, Rubendren S. Marippa Pillay, Eric Anthony, Mathew Jeremiah, Ong Heng Hoe and Hujayshen Nair, won the second runner-up in the Higher Education Institution Futsal Tournament (HEIFT) 2018. The tournament was held at Kelab Komuniti Taman Tasik Cyberjaya, Selangor from 2 to 3 November 2018. UTAR futsal male team won 3-0 and 4-0 against FTMS Blue College in the group stage. 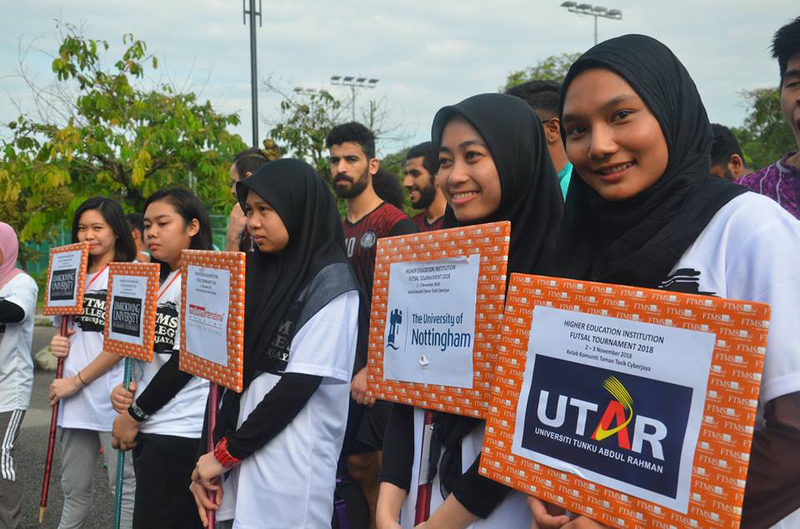 During the quarter final against University of Nottingham Malaysia Campus, they won 4-0 in the penalty kick. However, during the semi-final they lost by 0-2 against Limkokwing University of Creative Technology. 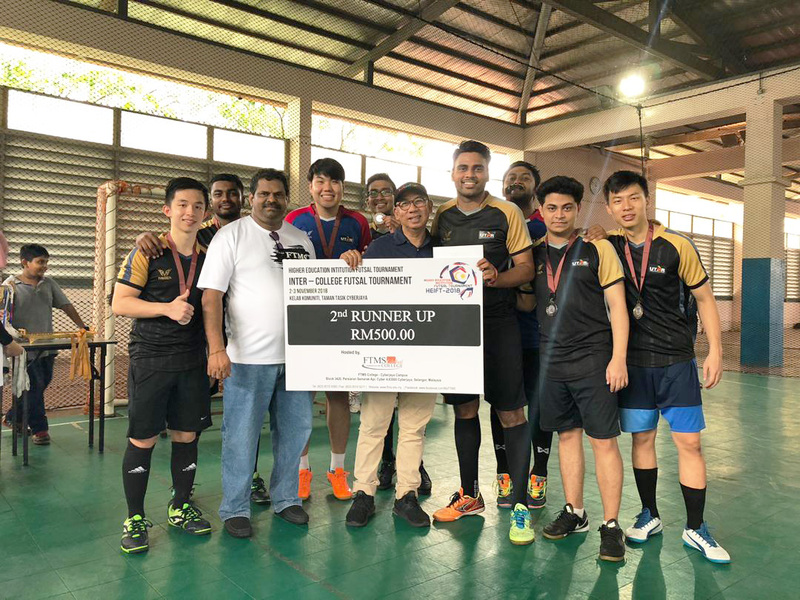 The third and fourth stages saw them going up against Cyberjaya University College of Medical Sciences and winning 2-0; hence securing them the third place in the competition. 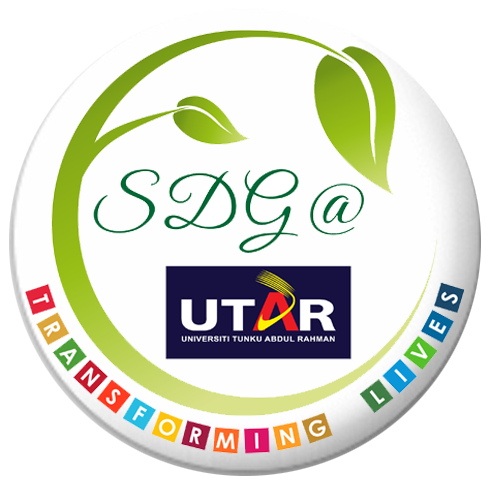 “As overall, UTAR team has made a great improvement compared to the year 2016 where they only won the third runner-up. Even though their skills, compared to their opponents, was slightly rough, they gave their full commitment in all the matches. Practice makes perfect. This is a platform for them to gain more experience and exposure. This will definitely help them to improve themselves in the future,” said Sungai Long Department of Student Affairs Assistant Manager Mohd Alfiha bin Mat Tarihan. The winners walked away with a cash prize of RM500 and a medal each.